Please make sure this is the correct part before buying. 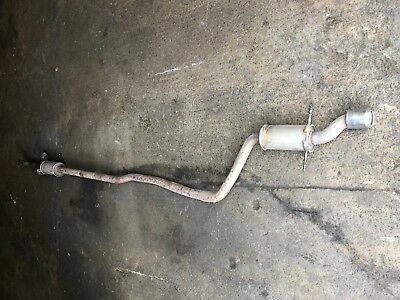 In this product page you can see a BMW Mini One D/Cooper D Exhaust System (Cat Back) R56 Hatchback 2754645 that will fit a MINI Hatchback and any of the vehicles in the compatibility list. This vehicle part is a Used part, so please ensure it is the right one before buying.